It goes without saying that strong, on-message branding of your company or product can have a significant positive impact on your market visibility, customer base and sales. Branding is vital to your future business success, and is just as important for small businesses as it is for bigger brand names. Many small business owners already understand that branding is essential to their business, but many do not know why, or how to create strong branding. In reality, branding is far more than just a logo, message, slogan, tag line, or how your business is perceived by your customers and key partners. 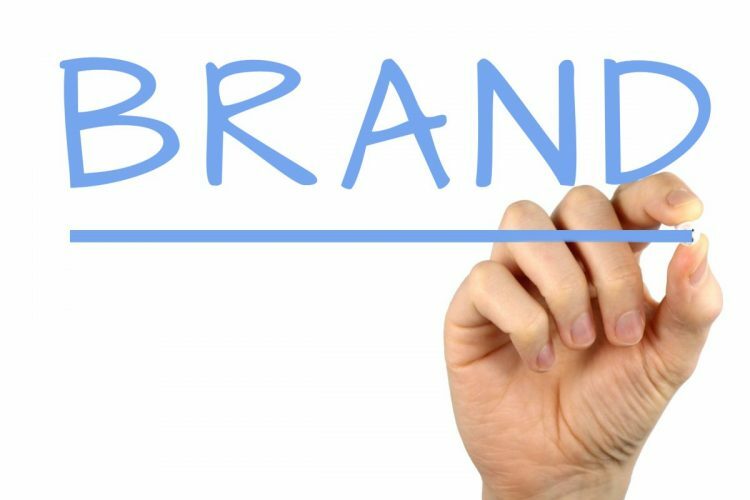 Successful brands have branding right at the heart of the business, and use branding as a way of defining their business to themselves, their team and their external customer base and other key contacts. Strong, on-message branding should create the business’ identity, embodying the core of the business’ values, not just what it looks and sounds like. Strong branding has even been described by some as creating a similar buzz as to when people fall in love with each other. It can cause customers to feel a connection to your business, feeling that they share the same values and beliefs as your brand, which in turn leads to higher sales, increased brand differentiation and brand loyalty. So how do you go about creating a brand that will deliver returns on your investment and mark you out from your competitors? Here are our top tips for creating branding that will really reap the benefits. Think about what you have to offer as a business. Work out what space you occupy in the marketplace, and do your research into the needs of your key customers. Through identifying and defining your place in the market, you stand a better chance of creating a brand that connects with your customer base and differentiates you from your competitors. Think of your brand as a person, an individual whose character is made up of beliefs, values and purposes that define who they are and who they connect with. This enables you to develop your brand in such a way that it connects with your core customer base on a personal level. It also helps you to fall in love with your own brand – vital if you are going to be able to successfully market what you are offering. Honest branding builds trust and as a result engenders customer loyalty. False promises or trying to pretend your brand is something it is not results in the opposite reaction – so be honest as to what your company values are in order to solidify long term relationships with the consumer. Being consistent in your message also means your customers know what to expect from you, which helps cement your relationship with them. Whilst giving a consistent message is key to building customer trust, too much repetition in your branding will only bore your customer and turn them off your brand. Be creative – find different ways of relaying the same message rather than repeating the same slogan or tag line. Mimicking the large chains and big brands may seem appealing given their considerable success, but it is far from the best way to attract loyal, long term customers. Market trends point towards consumers moving towards independent retailers who offer an original, authentic product, so do not be afraid to distinguish yourself from the larger, more well-known brands out there. Big brands are often constrained by their company’s policies, whilst independent brands have a much higher level of flexibility to react to the needs of customers – flaunt this flexibility to be innovative, bold and daring. Trends in branding are far more fluid and engaging than in the past. Don’t give everything away up front – give your customers the opportunity to do their research and find out about you for themselves. Teasers directing customers to your website are a good way to go – consumers are innately curious and once you have directed them to your website they are far more likely to engage with you. Even in the digital age, word of mouth is still a powerful too – once customers have found out more about you, they are likely to tell others. Creating strong branding will almost certainly cost you a fairly significant amount of time and money upfront. However, this is certainly not the time to cut corners or make do with substandard branding. It may take you a short amount of time to see returns on what you initially invest in getting your branding right, but creating a strong brand upfront is a long term investment which will eventually reap long term results. Need help with your branding? Get in touch with us here at Cope Sales and Marketing, and please use our website – www.cope-salesandmarketing.com – to browse our services. Our Branding Page can be found here.